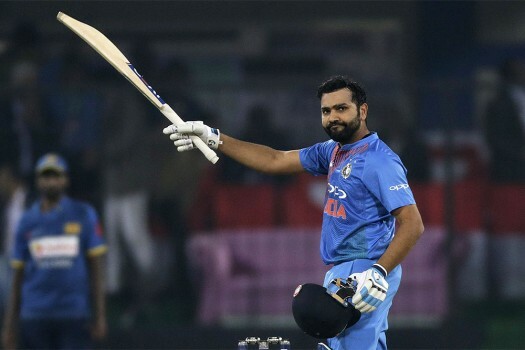 India's captain Rohit Sharma raises his bat to celebrate scoring a century during their second Twenty20 international cricket match against Sri Lanka in Indore. 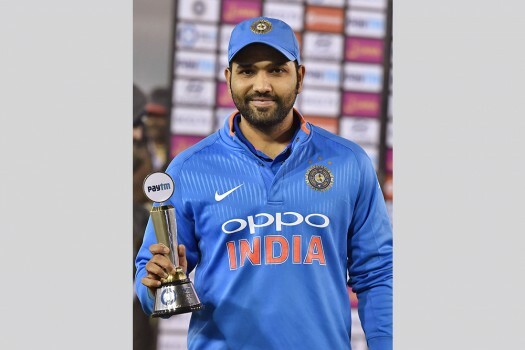 India's captain Rohit Sharma poses with the 'Man of the Match' trophy after winning the second one-day international cricket match against Sri Lanka, in Mohali. 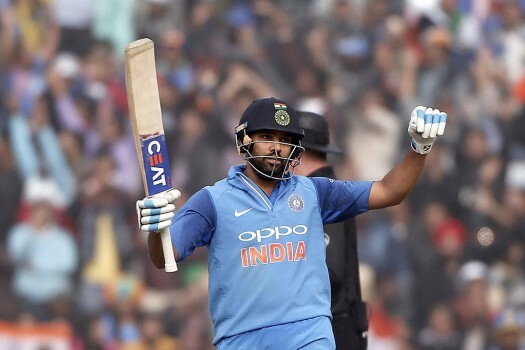 India's captain Rohit Sharma celebrates his double-century during the second ODI cricket match against Sri Lanka in Mohali. 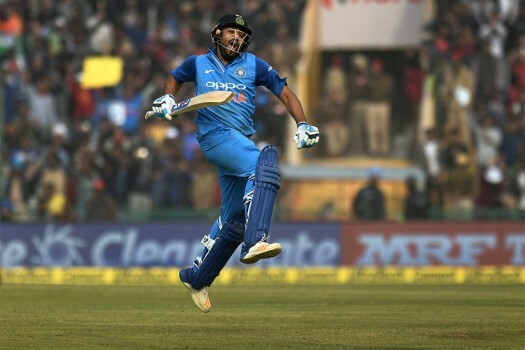 India's captain Rohit Sharma raises his bat to celebrate scoring a century during their second one-day international cricket match against Sri Lanka in Mohali. 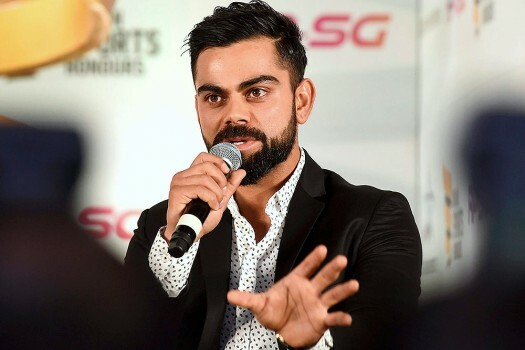 Indian Cricketer Virat Kohli addressing during a press conference to announce the 'RP-SG Indian Sports Honours' awards in New Delhi. 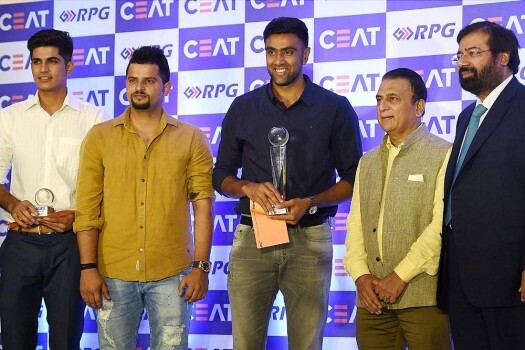 Cricketers Shubhman Gill, Suresh Raina, R Ashwin, Sunil Gawaskar, and RPG Enterprises Chairman Harsh Goenka during the CEAT Cricket Awards, in Mumbai. 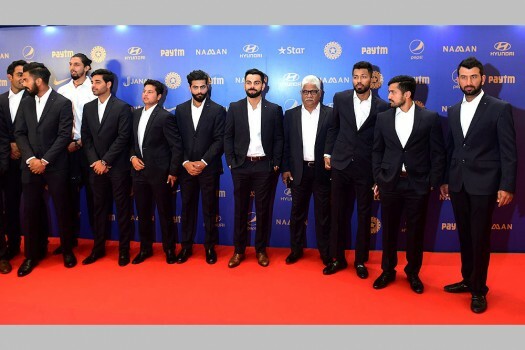 Cricketer Virat Kohli with team mates during the BCCI Annual awards in Bengaluru. 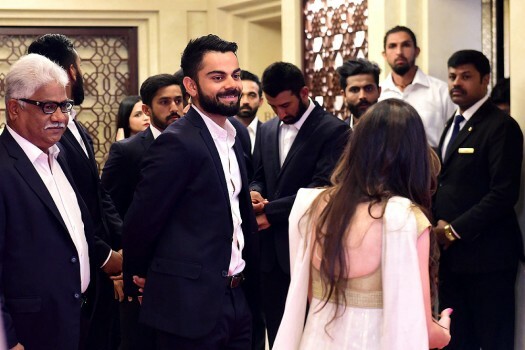 Cricketer Virat Kohli with others during the BCCI Annual awards, in Bengaluru. 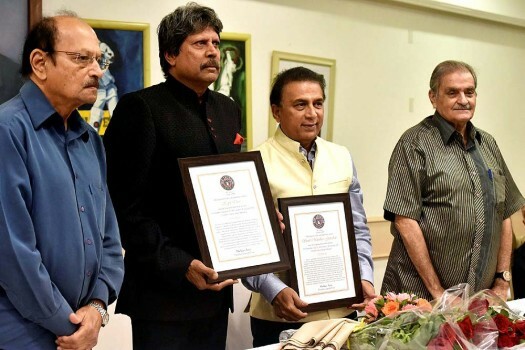 Former Indian captains Ajit Wadekar, Kapil Dev, Sunil Gavaskar and Nari Contractor during the Legends Club felicitations function at CCI, in Mumbai. 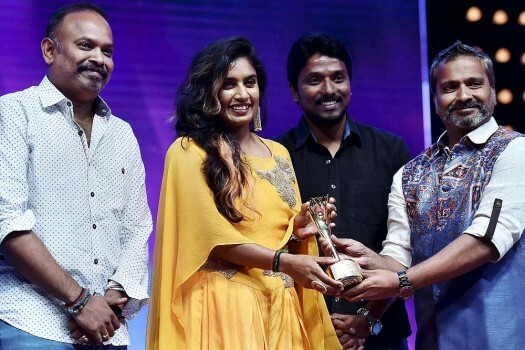 Indian women cricket team Captain Mithali Raj is honoured at the "JF Women Achievers Awards" function, in Chennai. 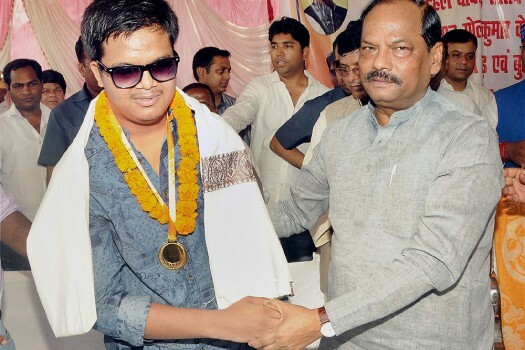 Chief Minister of Jharkhand, Raghubar Das felicitates Blind Indian cricket team player Golu Kumar at Booty Village in Ranchi. 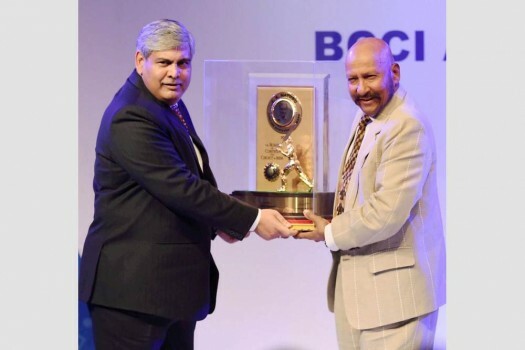 BCCI President Shashank Manohar honors Syed Kirmani with the Lifetime Achievement award during the BCCI Awards function in Mumbai. 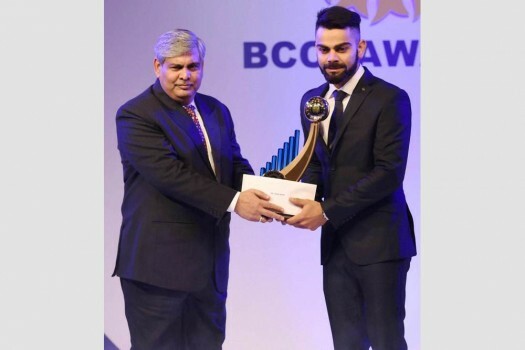 BCCI President Shashank Manohar honors Virat Kohli with the Cricketer of the Year award during the BCCI Awards in Mumbai. 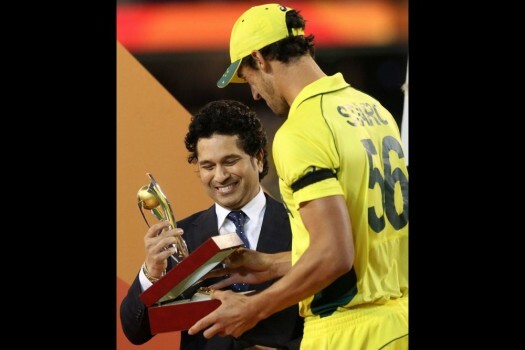 Sachin Tendulkar presents the player of the tournament, Australia's Mitchell Starc, with his trophy during the Cricket World Cup final in Melbourne. Arthur Fagg of England is the only other player to have hit two double hundreds in a First-class match, in 1938. 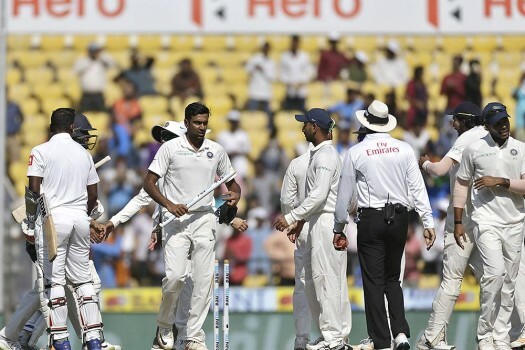 India became the first team to win a Test series in Australia. 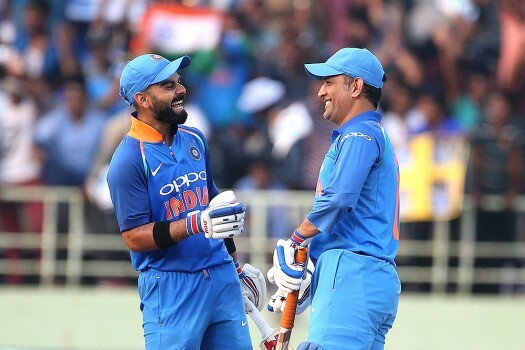 The ICC also announced the ODI and T20I teams of the year, with New Zealand's Suzie Bates and India's Harmanpreet Kaur as respective captains. 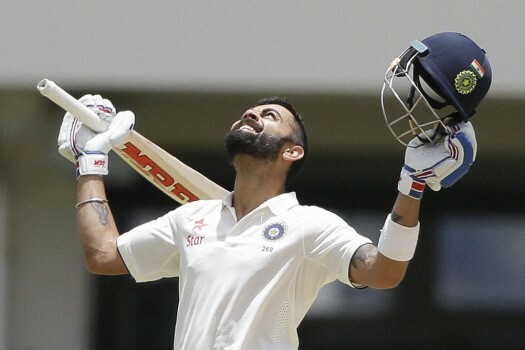 Ponting, a three-time World Cup winner including two times as captain, is the 25th Australia cricketer to be inducted into the ICC Cricket Hall of Fame. 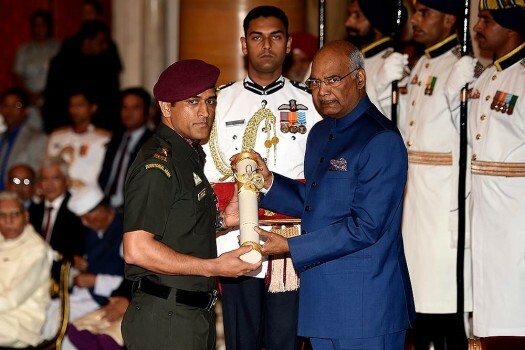 The Indian blind cricket team was formed in 1998 and is currently being managed by the CABI, an independent entity backed by the Samarthanam Trust.